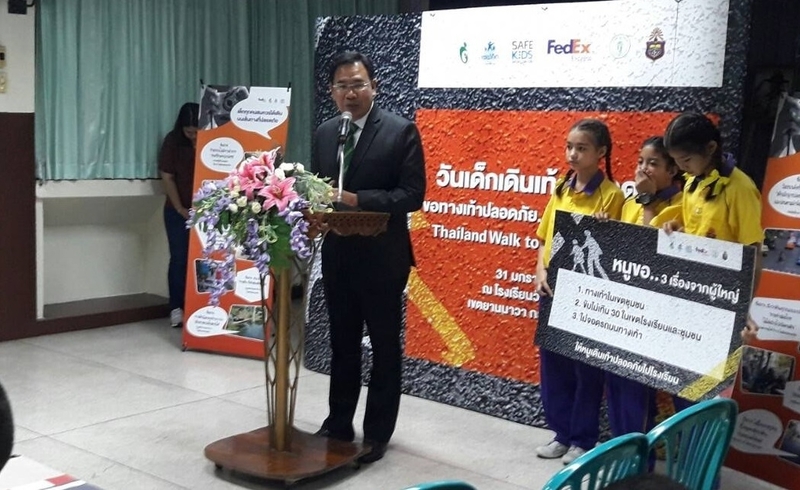 Safe Kids Thailand under Child Safety Promotion and Injury Prevention Research Center (CSIP), in collaboration with Wat Chong Nonsi school, safety networking agencies and the grantors – – FedEx and Safe Kids Worldwide, organized an a safety event called Thailand Walk to School Day 2018: “Children Day – Care for Child Pedestrians”. 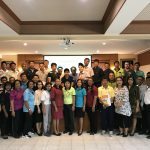 The event was held on Thailand Children Day dated January 31, 2018 at 08.00-10.00 hr. 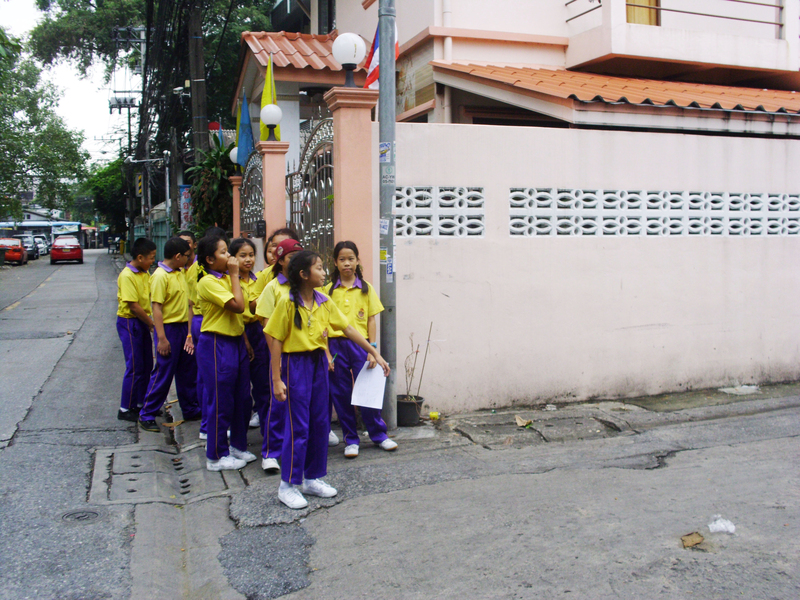 at Wat Chong Nonsi School, Yannawa district, Bangkok. 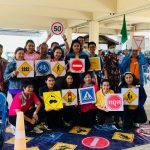 It aimed to give children opportunity to generate road safety actions and to call for the cooperation from adults and relevant agencies to provide friendly and safe environment from-to-school for child pedestrians. Participants joining this event were more than 60 persons including school, teachers, students, safety networks, public and private agencies. 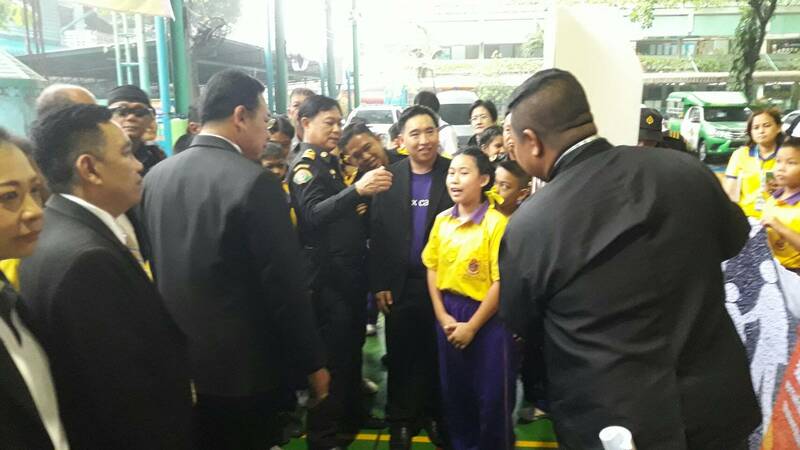 ‘Thailand Walk to School Day 2018’ event was honored by the Deputy Director of Bangkok Education Bureau (Mr.Kriangkrai Chongjaroen) as the chairman of event. 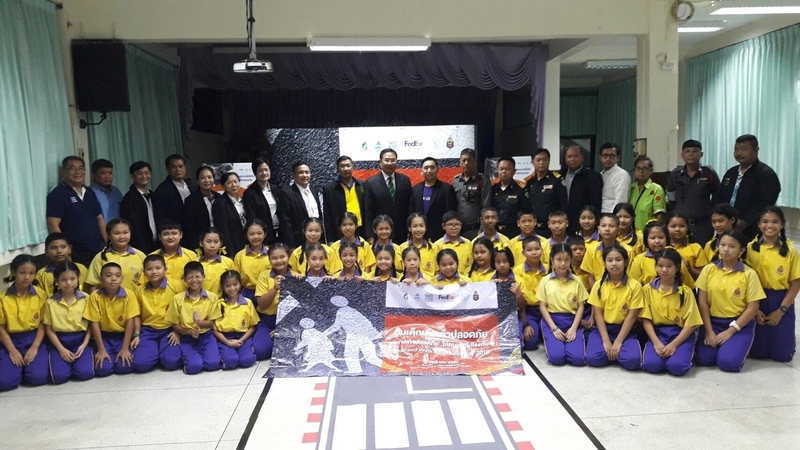 Others included Wat Chong Nonsri school (led by Mr. Yanyong Sukkasem, School Director, school administrators, teachers and 40 student representatives), Yannawa District Administration (led by Mr. Sutas Rujinarong, the Director and Mr. Kanae Yokchu, Head of Civil Officials), Bank Pongpang Police Station (led by Police Captain Thanu Ninsonthi, traffic police and the team), Bangkok Education Bureau (led by Ms.Soraja Meesapman, Education Supervisor), Bangkok Municipal Office (led by Mr. Wirote Yingsakul, Director Zone1 and Mr. Anurak Pengsri, Municipal Official), Bangkok Traffic and Transport Bureau (led by Mr. Wanlop Chankasem, Civil Operation Official), FedEx (Mr. Visut Punsukumtana, Senior Manager), Accident Reduction Networking Office (Mr. Prommin Kanthiya, Director), Engineering Faculty of Kasetsart University (Ajarn Channarong Waipoj, lecturer), Nippon Thailand Co.,Ltd.(Mr. 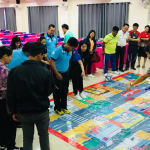 Dilok Lertkriangkraiying, Fire Safety Engineering Specialist), Wat Chong Nonsi Community (Ms. Chaloemsri Daeng kerd, Community leader and community committee), Chulalongkorn hospital, Weber Shandwick (Thailand) and Safe Kids Thailand. Road accident is a major problem that all countries are facing. 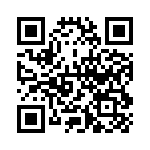 There is an increasing trend in deaths and injuries related road accident. The World Health Organization states that annually there have been many children died from road accident. It found 500 children died in road accidents at daily average. 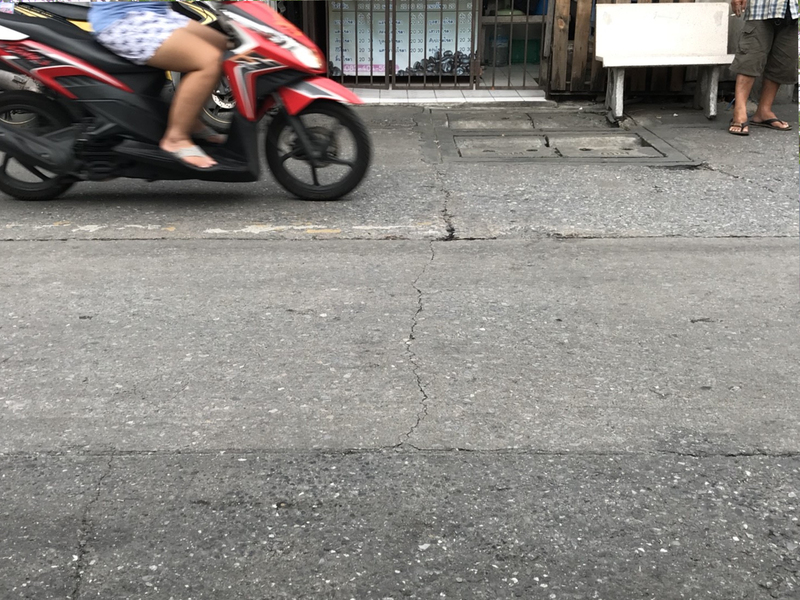 Based on the World Health Organization’s 2015 Global Road Accident Ranking, Thailand is ranked second in the world and ranks the number one in ASEAN region. 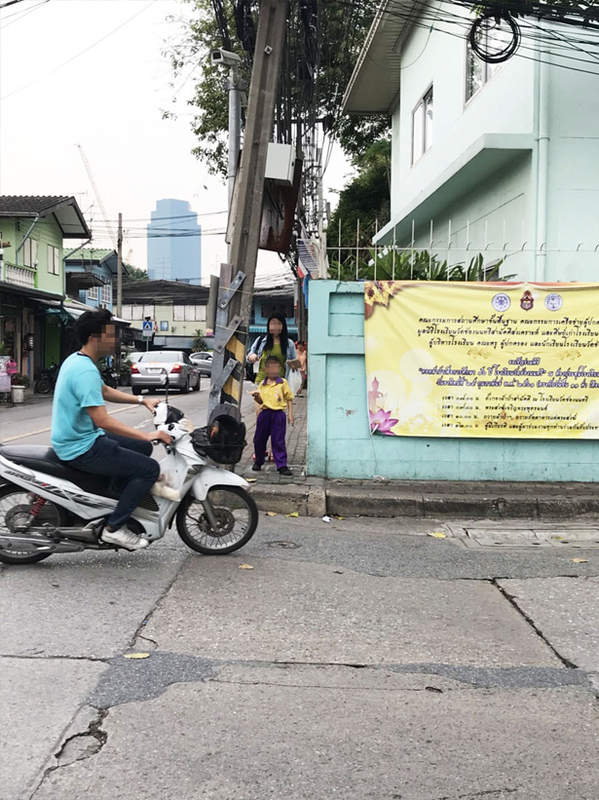 Nevertheless, based on the study of Child Safety Promotion and Injury Prevention Research Center (CSIP), road accident is the leading cause of child death group in age less than 18. It was about 2,000 child deaths, with more than 72,000 child injuries per year. Child pedestrians are at high risk of being hit by a car while walking from-to school. It found both behavioral risk toward injury, and environmental risk during the travel route between home and school. Behavioral risk toward injury, for example, adults often overestimate children abilities. Children lack experience about pedestrian safety. 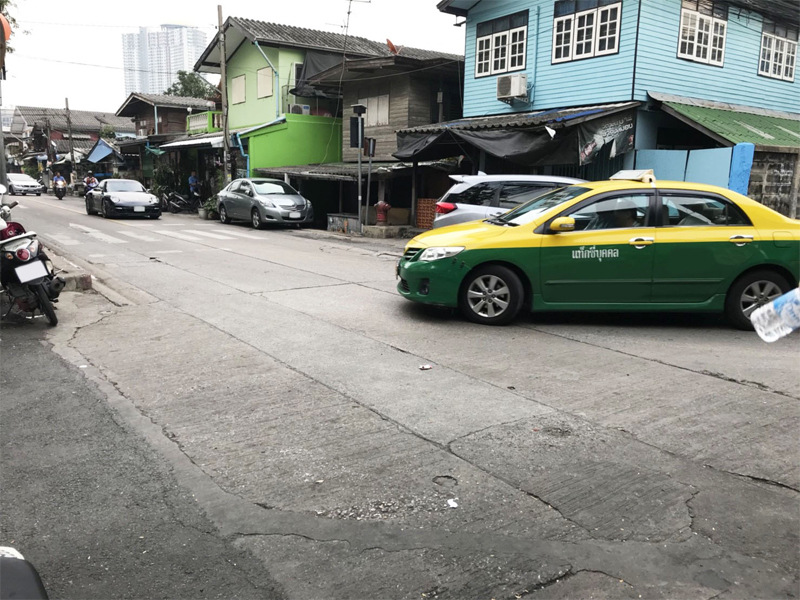 Environmental risk samples were poor condition of road and pedestrian ways, high speed driving, motorcycling on walk ways, food stalls on walk ways, no safe crossing at front of school, etc. 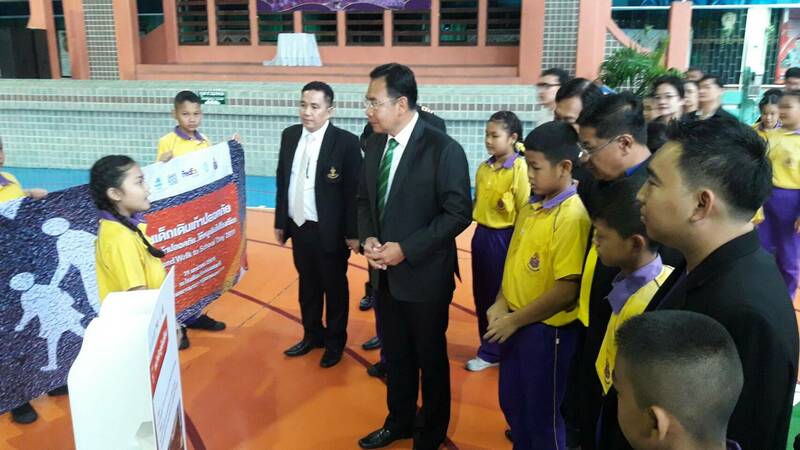 Major activity in the event was the presentation of student representatives from Wat Chong Nonsi. The student group presented 8 risk areas from their survey, together with the problems and danger they might face, to the chairman and relevant agencies. 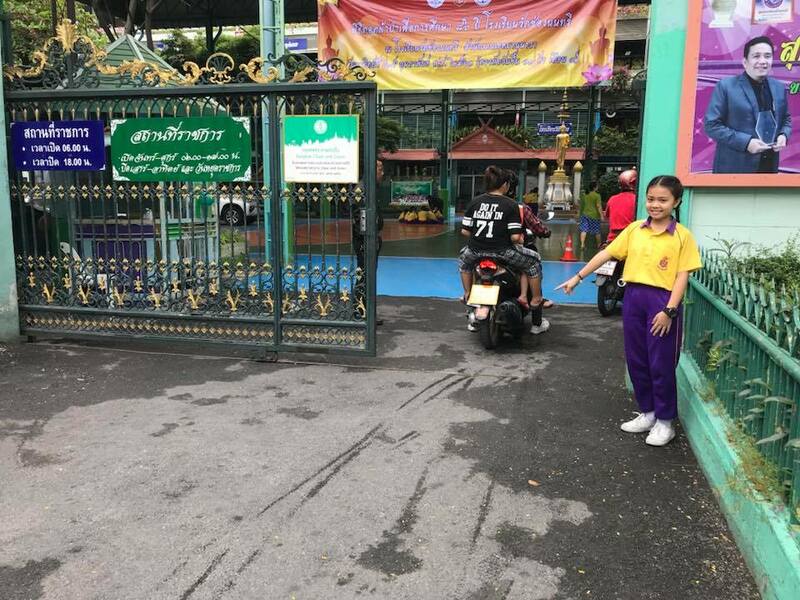 School front gate should belong to pedestains; however, it became the parking area and student drop off area – – not safe enough of child pedestrians. We wanted the school make a clear separation between walk way and parking area at the school front gate for our safety. Curve in front of school was very dangerous and too difficult to cross because there always were passing cars and all drove with high speed. We wanted to request drivers to slow down their speed when turning at curve. We wanted to have speed bump or traffic signage or traffic volunteers to assist us when crossing. Requests (from students) We wanted to have walk ways so that we could walk safely. Risk (identified by students) We could not find clearly identified walk ways in this community. Students and children needed to use roads as walkways. Requests (from students) We wanted adults providing us clearly identified walk ways so that we could walk safely. Risk (identified by students) It was hard to find crossing ways during the route to our home. Requests (from students) We wanted to have crossing road and traffic signals so that we could cross the road safely. Risk (identified by students) There were many alleys and narrow passageways in the community. We sometimes did not know whether there was a passing car behind buildings. Requests (from students) We needed traffic signages and/or traffic signals so that drivers could have more cautions. 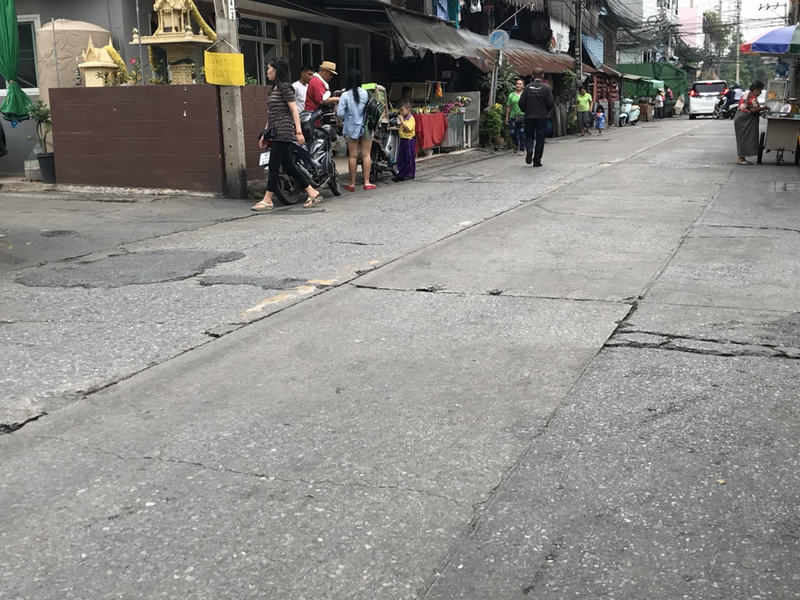 Risk (identified by students) Walk ways in community normally were allocated for food stalls, stray dogs’ stools, or waste. We must be very careful while walking. Requests (from students) We wanted to have clear and clean walk ways. 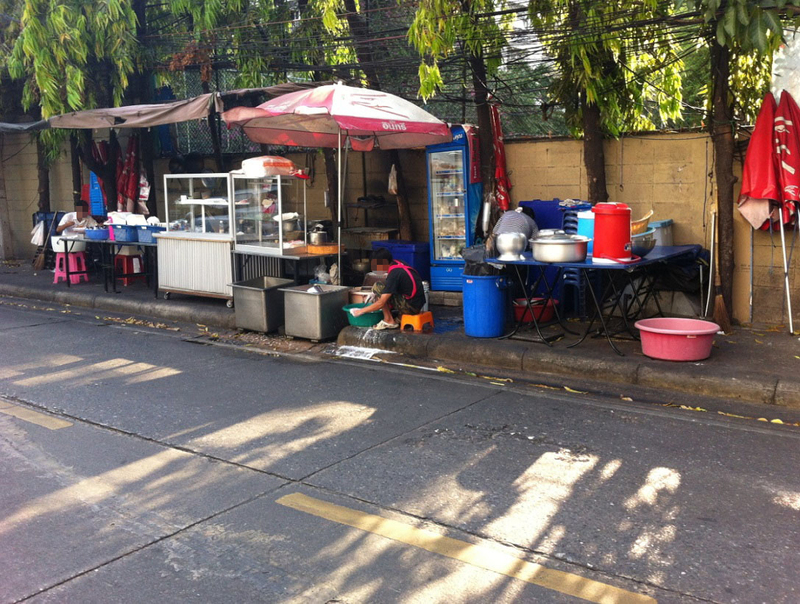 Food stall owners please keep the road clean for children safety. Risk (identified by students) by in opposite directions at the the same time. One needed to walk on road instead. This was so dangerous Walk ways surrounded the school were too narrow to walk if there was any car moving out off the curve. Driver may not see walking students. Requests (from students) We needed to have traffic signals so that drivers could have more cautions. 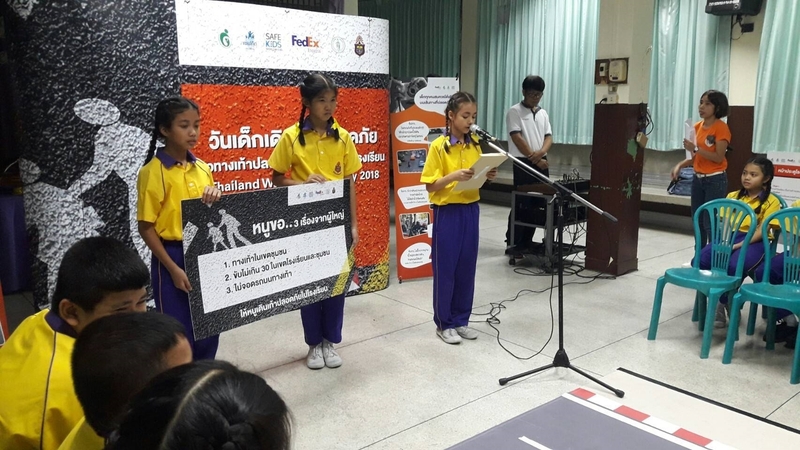 The 8 risk areas were grouped into 3 request proposal by student representative of Wat Chong Nonsi shcool. This was presented and submitted to the chairman and relevant safety agencies to seek for modification. Impact: Students needed to use road instead sometimes. This was possible to have road accident or to be hit by car. 2.Risk & Problem High speed driving in school zone and in community. Impact: Normally speed limit at 30 km/hr. in school zone and in community. However, it found higher speed than stipulated traffic rules. 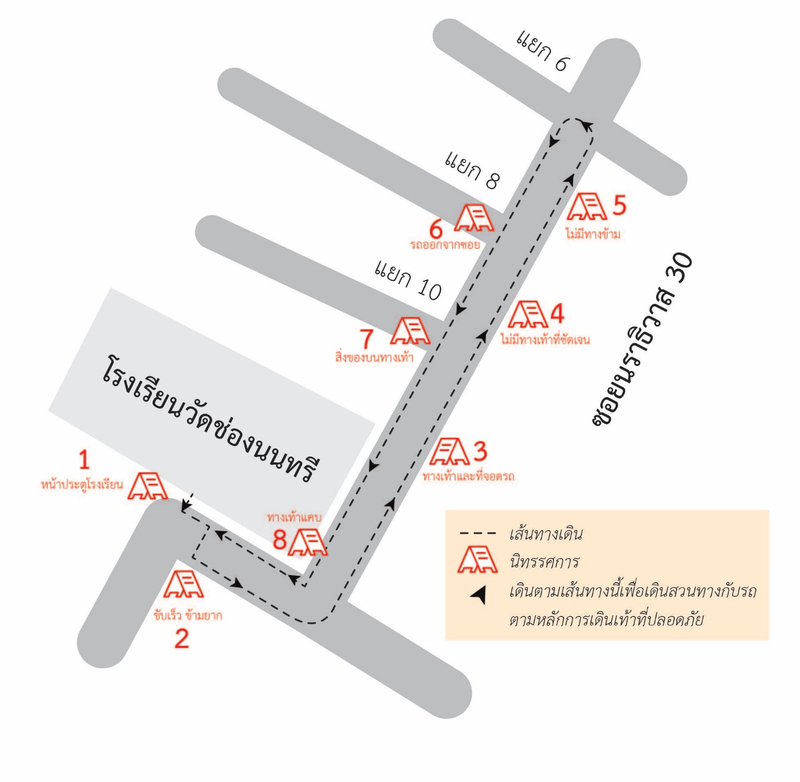 Students might have road accident when walking or crossing. 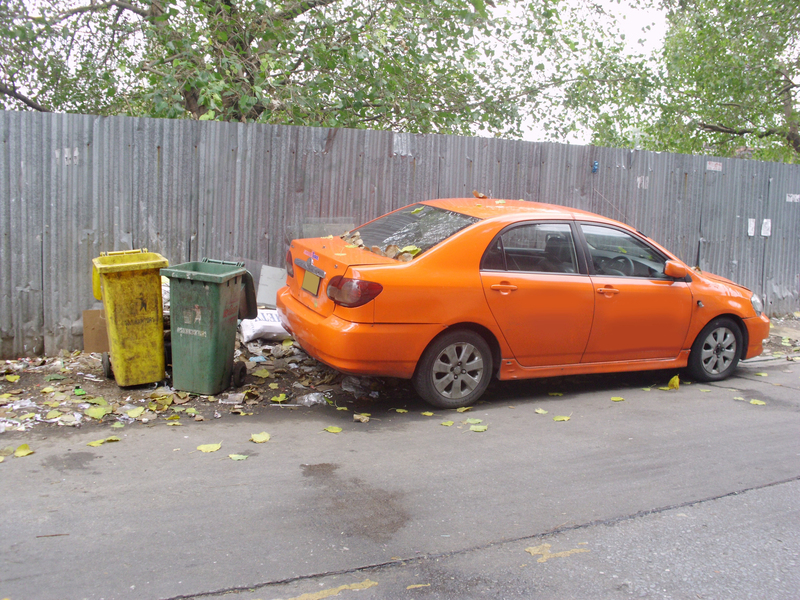 Impact: Dropping off area was not in order before and after school. Besides, there were food stalls at the same area which obstructed passing cars. Students could have accident from disorder car dropping and food stalls. The chairman expressed his plight towards student requests and his consent to the integrative safety improvement. All the safety networking, that is, Safe Kids Thailand, Child Safety Promotion and Injury Prevention Research Center (CSIP), Yannawa District Administration, Bangkok Education Bureau, Bangkok Municipal Office, Bangkok Education Bureau, Bangkok Municipal Office, Bank Pongpang Police Station, community, and educators agreed on safety improvement, child pedestrian safety in particular. 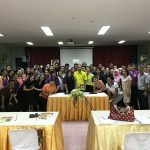 Furthermore, they all agreed to extend this safety event to other schools under the authorization of Bangkok Education Bureau. 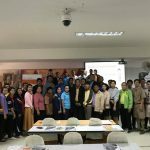 Meanwhile, Accident Reduction Networking Office by Mr. Prommin Kanthiya, the Director would present the impact of this event to the Director of Road Safety Center for further actions in other schools as well.